has been prepared to assist students at Detroit Baptist Theological Seminary in selecting books for their future ministries. It has been specifically designed to answer the question of which books are the best on a particular book of the Bible or theological subject. In the case of commentaries, best means those that are the most helpful in exegesis and exposition, as well as understanding the overall argument of a book. Commentaries of a sermonic and/or devotional nature, though helpful and oftentimes essential for sermon preparation, are not generally represented in this list. The books are listed in order of importance. The first book listed, if available, is the one the student should purchase first. However, it should not be assumed that one commentary will suffice for the task of teaching or preaching through a book. This is almost never the case. Between academic and domestics issues, I had a furious summer. 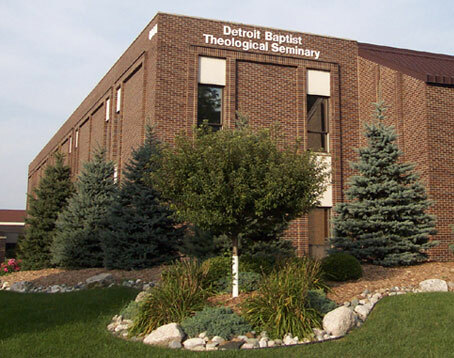 Though life will not slow down this coming school year, I look forward to the challenges and rewarding year at Detroit Baptist Theological Seminary. The fall semester started on Monday evening, August 22, with our convocation dinner. The following day, we had orientation for new students and on Thursday, August 25, classes began. This fall marks DBTS’s thirty-sixth year of operation and it starts my twenty-ninth year of ministry at the seminary. This year will mark another heavy year of academic work. This fall I am teaching three classes and am involved in leading a seminar: Pentateuch, Hebrew Syntax & Reading, Hebrew Exegesis of Micah, and a seminar on Ecclesiastes. I have uploaded to my website the course requirements for each of these classes. If you still need the course requirements, or just want to see what these classes look like, you may get a concise overview for each class and then download the complete set of requirements by clicking any of the following links.